Last week my dear friend and fellow-blogger Cheryl Lin of Business Chic launched her book and held her first exhibition – all in one week! 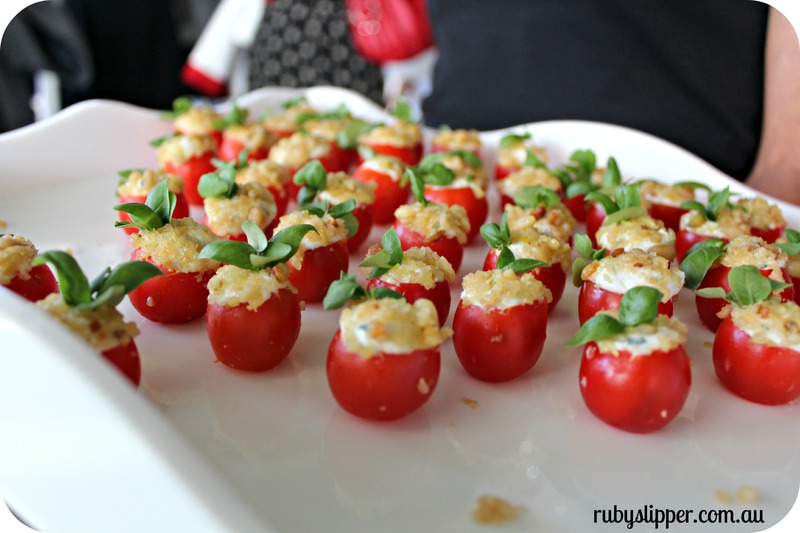 Her popular business-fashion centric blog also celebrated its third year in existence – so really, there’s lots about Cheryl and her creative endeavors to celebrate. 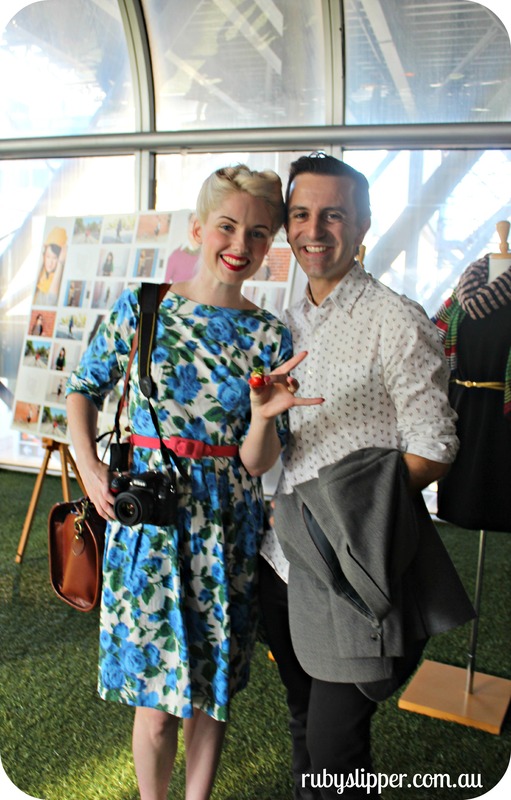 Today, we feature highlights from the whizzbang event her launch party at Melbourne Central’s community Garden was. 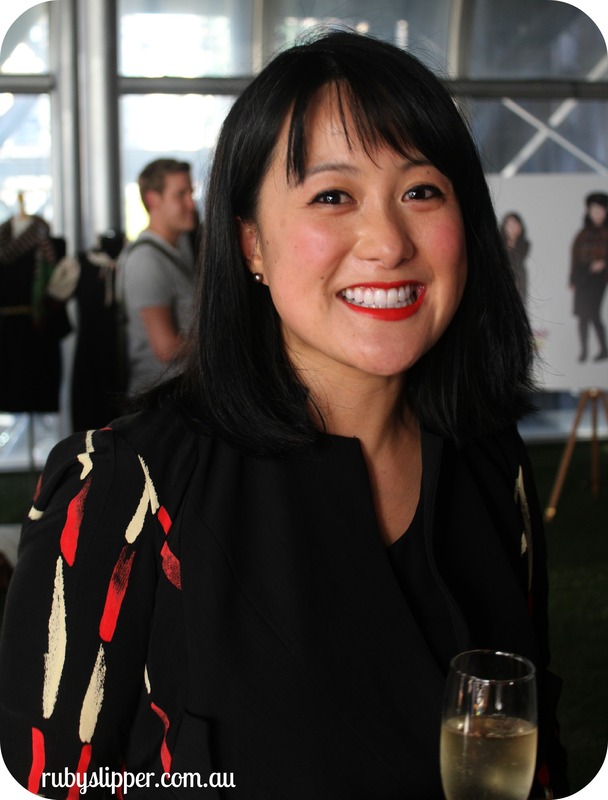 Here’s the lady of the hour – Cheryl Lin of Business Chic! Cheryl has been creating brilliant and innovative street-style blog content whilst also holding down a day job. 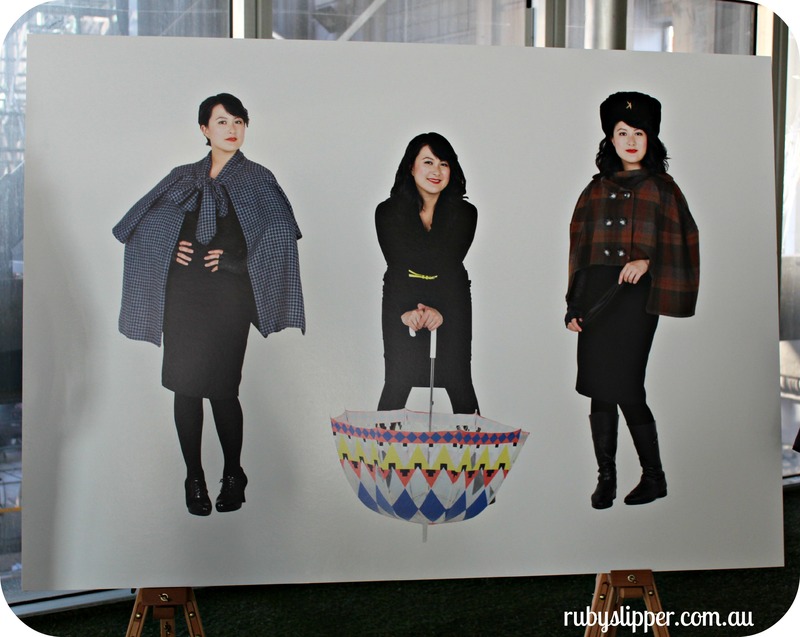 She decided to undertake a challenge in 2012 – that of styling the same Bento dress 52 different ways. Tackling ideas of local purchase, sustainability and invention, Cheryl’s Little Black Dress Project has now become a published piece of work (and a nifty gifty idea for the business woman in your life! ), charting the multitude of ways you can reinvent one key wardrobe staple. 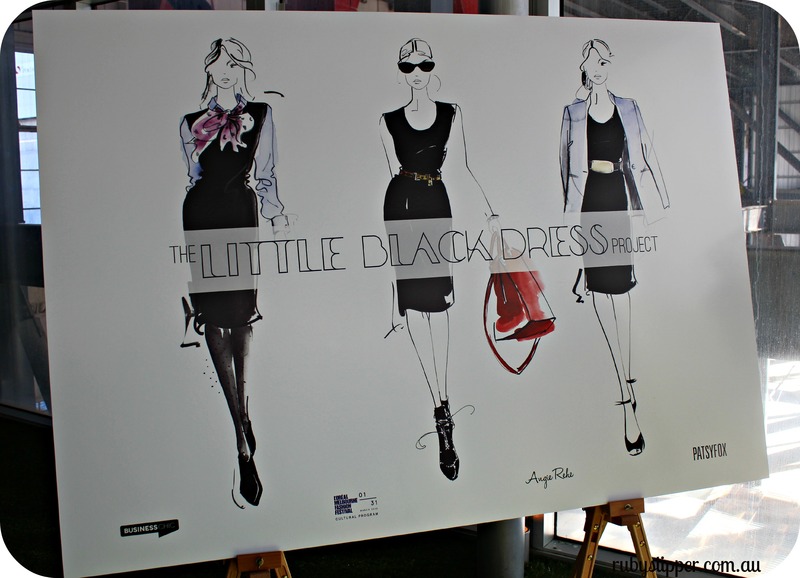 Visit Melbourne Central’s Community Garden to see the Little Black Dress project exhibition during LMFF 2013. It’s a fib that EVERYONE in Melbourne loves black. 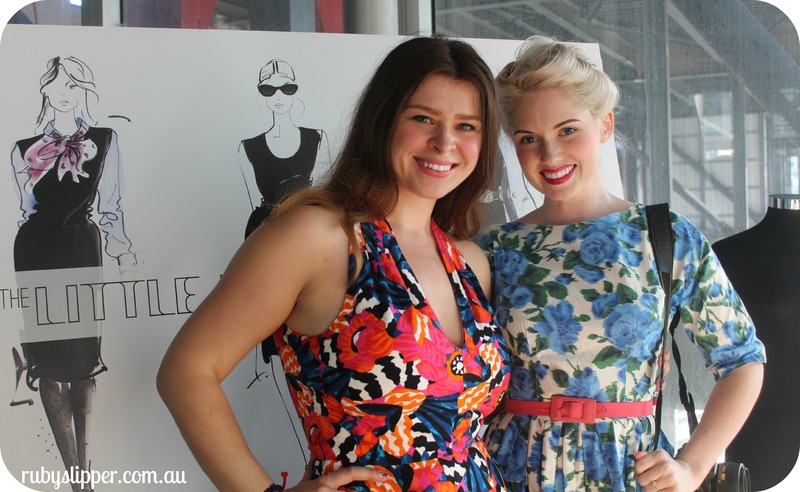 Marianne from Esme & The Laneway and myself are quite partial to vintage florals. 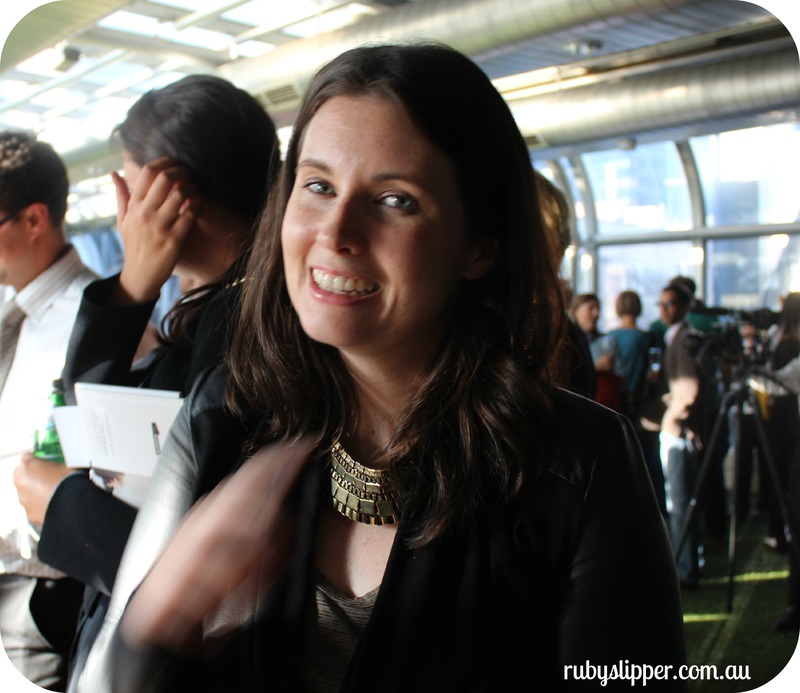 It can’t be denied that Sarah from StyleMelbourne cuts a mean figure in a black jacket, however. Nice new ‘do too! Cheryl Lin with Sarah Gale, officially launching the LBD project exhibition. Congratulations, Cheryl!